Dunsley are one of the UK’s longest standing manufacturers of multi-fuel heating equipment including wood burning and multi-fuel Stoves. They can provide heat and hot water for the whole house through the use of their Multi-fuel Stoves and Wood burning Stoves and back boilers. 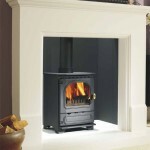 They produce open fires, Boilers and Stoves all designed and manufactured in Yorkshire, England.